Online gambling in the USA used to be so simple. 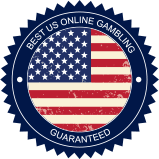 With no set-in-stone federal or state laws, Americans were free to enjoy the new Internet betting sites appearing around the late 1990s without fear of prosecution. However, the party came to an abrupt halt in 2006 when Congress sped through the Unlawful Internet Gambling Enforcement Act (UIGEA) which outlawed payments made to online gaming sites in America. While the new law spelled disaster for many poker and gaming players, it arguably led to a speeding up of interstate regulation, and that looks like the model going forward. UIGEA put and end to most of the payment processing to and from Internet gambling sites in the US. Many credit card firms and e-Wallets stopped accepting American real money payments, while some global websites packed their bags and left the US market altogether. Many, however, stayed and continued accepting US customers. The Black Friday raids of April 2011 by the Department of Justice led to the closure of three major poker rooms in America and the seizure of millions of dollars in player funds. Just months later, the Department of Justice altered their stance on the interpretation of the Wire Act (and archaic law outlawing bets taken across state and national borders by telegraph or telephone) and as a result seemed to allow some forms of legal online gambling. Although the reinterpretation of the 1961 Wire Act was intended to deal mainly with lottery tickets sales, some states saw it as a green light to launch legal, regulated online gaming sites of their own. In 2013, Nevada (the spiritual home of legalized gaming in the USA) pushed ahead with its first-ever legal poker site. The room was open to residents of Nevada only, but just months later New Jersey allowed both casino and poker sites to open and offer NJ residents legit gambling. Delaware makes up a trio of states to become pioneers in offering America's first regulated web gambling, and Pennsylvania is the fourth in 2019. The success of these new inter-state websites rests on whether the states can strike deals with each other to provide intra-state gaming; that is, the same players playing on the same sites across state borders. Other US states have been looking closely at laws of their own, but as of 2019 most US states are playing a 'wait and see' game to see if the pioneers make a success of it. Some US states, such as Washington DC, have made online gaming a Class C felony, and are unlikely to push through any kind of positive legislation anytime soon, while most are sitting on the fence, relying on some weird status quo of ancient laws that bear no relation to the Internet gaming revolution. There have been many attempts on a federal level to push through some kind of US-wide legislation regulating gambling online across the country, but so far every attempt has faltered. Some land-based casino operations are worried about the effect Internet gaming will have on their revenues, and with Atlantic City, NJ, in particular suffering badly, a link has been made with the newly regulated sites allegedly taking away business from the live scene. The latest online gambling bill in the USA, the Internet Gambling Prohibition and Control Act of 2014, looks to legalize poker but could spell disaster for casino games across the US. As with most bills before, sportsbetting is completely outlawed under the new proposal. Just as at land-based casinos and poker rooms, Americans playing online may be subject to taxes if you bag a juicy win on the web. Winning $1200 or more on an online slot will see you issued with a W2-G form from the IRS. Likewise, winning over $600 at a table game will also mean you are required to fill out a tax form. Anything bigger online could be subject to federal tax. Who Else Is Likely to Legalize in 2019? With populations in Nevada, Delaware and New Jersey not enough to provide a decent enough pool of gambling players, we may not see if legal Internet gambling in America is a success until other states come on-board. Pennsylvania could be the first in a new wave of legit states, with California, Maryland and Florida all states with some existing land-based gambling and who could easily allow websites to be set up within state borders. The proof in the pudding will be whether intra-state compacts really work.